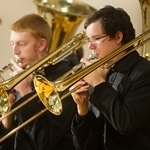 Northwestern College’s Symphonic Band is preparing for a spring break mission tour of Spain March 2–11. 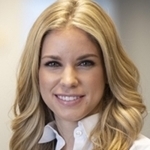 Dr. Jenelle Dunkelberger of Lakeville, Minn., a 2011 Northwestern College alumna, is Northwestern’s nominee for the 2019 Council for Christian Colleges and Universities Young Alumni Award. 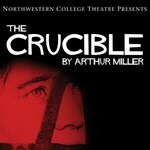 Arthur Miller’s American classic “The Crucible” will soon be on stage at Northwestern College. 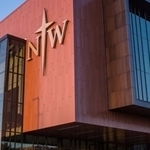 The colonial-era drama will be presented in the England Theatre Nov. 9 and 15–17 at 7:30 p.m. and Saturday, Nov. 10, at 2 and 7:30 p.m.
For the second year in a row, Northwestern College students taking the Medical College Admission Test scored among the top 25 percent. 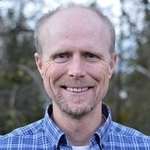 Dr. John Hubers, associate professor of biblical and theological studies and director of global education at Northwestern College, was one of the speakers during the Founders Week celebration at New Brunswick Theological Seminary in New Jersey on Oct. 5. 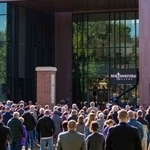 Northwestern's new $24.5 million DeWitt Family Science Center was dedicated Sept. 28 as part of Raider Days festivities. 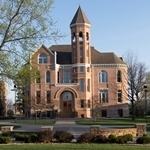 Northwestern College is starting a Master of Science degree in physician assistant studies and expects to enroll the first cohort of up to 30 students in May 2020. 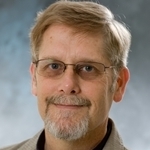 Two Northwestern history professors, Dr. Rebecca Koerselman and Dr. Michael Kugler, will present their research at the Conference on Faith and History at Calvin College in Grand Rapids, Michigan, Oct. 4–6. 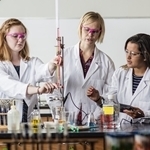 Members of the public are invited to join Northwestern College students, faculty and staff for the dedication of the Jack and Mary DeWitt Family Science Center. An open house will follow the 4 p.m. ceremony on Friday, Sept. 28.